View basket “Devotion – Eau de Pawfum” has been added to your basket. 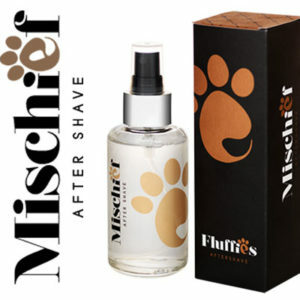 A Unisex Pawfume that will freshen up your pet’s coat with it’s charismatic zest aroma. Each spray will fill your senses with the vibrant yellow of a lemon orchard in full blossom, surrounded by it’s natural beauty. Sold in 100ml glass bottles. Anti-allergenic. At Fluffies we know you love your pets and only want the best for them. That is why we formed Fluffies back in 2011 with a view to providing luxurious products and top quality services, so you can give your furry friend the very best in life. We are different because we care about your pet and the environment; therefore we have not added any extra ingredients; keeping our products completely natural. Our products are not tested on animals and are totally pet friendly. 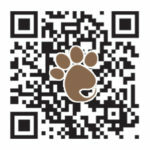 It’s our customer’s passion for their pets that drives Fluffies on to create natural and innovative products. This is why we have produced these three unique products. Each product has all natural ingredients:- Aqua, Perfume and Natural Emulsifier. Use the product by spraying all over your pet generously, avoiding contact with the eyes. Spray holding the bottle approximately 30cm away from the coat allowing an even spray on the body. Allow the spray to dry, then brush through the coat. Can also be applied to the brush and groomed into the coat or as a top up when your pet has been outside. May also be used on fabric such as beds or in a car. Apply as per instructions. Avoid contact with eyes. If contact occurs, rinse well with clean water. Fluffies cannot accept responsibility and will not be liable for any harm or damage caused by misuse of this product. Returned items will only be accepted if the product is unopened, unused, in the original packaging and condition as dispatched.Contact Fluffies to obtain agreement for the return prior to sending the item back.